Injuries and debilitating conditions can make it difficult to live a full quality of life. 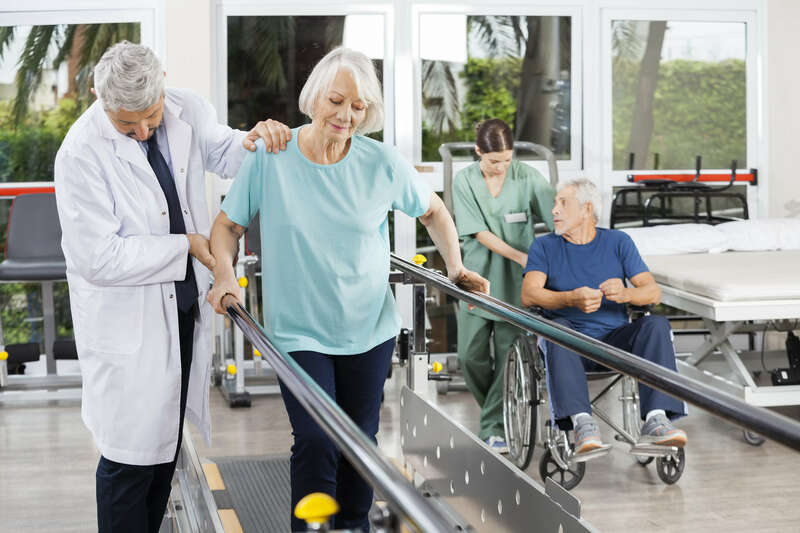 If you’re suffering from pain, loss of strength and loss of mobility due to a physical condition, you should consider physical therapy for treatment. Physical therapists are licensed healthcare professionals who provide rehabilitative services that can help you reduce pain and restore strength and mobility. The team at Armor Physical Therapy in Mattawan, MI, is passionate about developing personalized treatments to help patients like you recover and regain independence. Choosing the right physical therapist is important because physical therapists play such a vital role in your recovery. That’s why we’ve put together a little list to make choosing the right one easier for you. Anyone can get online and point a finger at the first physical therapy clinic they find, but you should really take a little time to find one that will truly care for your needs. Examine their credibility — Physical therapists must have years of training and education before being allowed to practice. All physical therapists must have a bachelor’s degree and must complete a physical therapy graduate degree program. Afterward, they have to receive a nationally recognized license to practice. Check out their facilities — The clinic you are interested in should have modern and functioning equipment and technology. This kind of equipment and technology can play an important role in a more speedy and efficient recovery. Examine their patient skills — The staff at the physical therapy clinic you’re checking out should be friendly and caring. After all, you’ll probably have more than one session as part of your treatment. If the staff is not pleasant, then you can find another clinic that works harder to care for you. Read their reviews — Check out patient reviews online or on social media to find out what other people think about the clinic you’re looking at. Ask about insurance options — Ask the staff or your insurance provider if your insurance will cover the services offered by the clinic. Schedule an appointment with Armor Physical Therapy in Mattawan, MI. Are you suffering from a debilitating injury or condition? Would you like to speak with a physical therapist at Armor Physical Therapy about treatment? Contact us today to discover how we can assist you.